I don’t know about you, but I am a longstanding apple-a-day guy. There’s always a big wire basket of Galas or Fujis in my kitchen, and I break my fast with an apple over morning email. The enjoyment of apples in my home even crosses the species barrier, as our Giant Schnauzer maws down his twice-daily thyroid pill in meaty quarters of apple. Apples may have failed this critical scientific test, but you’ll have to pry this tasty fruit from my cold, dead fingers. I wondered if Harvard nutrition experts shared my ardor for apples. McManus reassured me that, even though the JAMA study is published with tongue in cheek, you can trust your taste buds if you are an apple fancier. 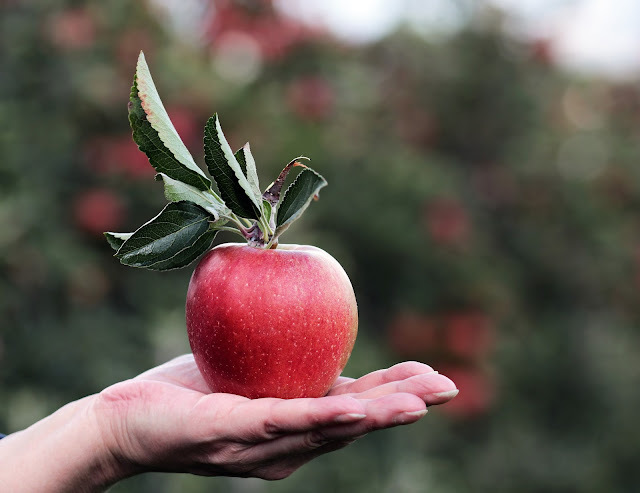 Biting into an apple regularly offers some real health benefits.